Hi, I am new in building my own laminar water jet and have been reading a lot of posts and watching videos on youtube on how to build the best laminar flow with bright light. I have built my own 110mm casing with everything inside and i am using a 15mm acrylic rod running in the middel of the casing. I am using a 4watt red led for testing and i am not getting any light in my crystal clear water jet. 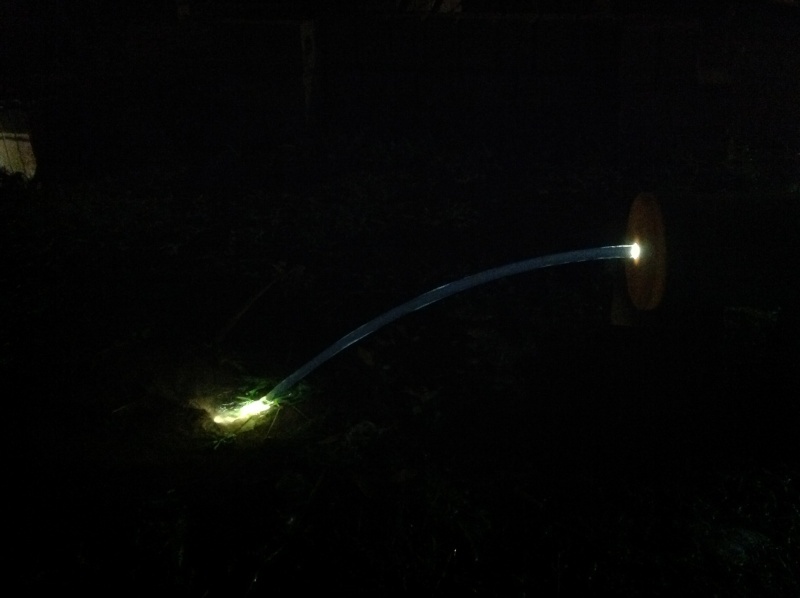 I can see the light at the outlet nozzle (15mm copper ring) and a bright light when it touches the grass but nothing in my stream itself. I have read that some say you need a brighter led or you have to "disturb" the flow so that the light can bounce off the edges. Here is my laminar jet with a 4 watt "cool white" led in action, see how much light is at the end. Hi Girdstar I see there have been no replies and I am also a newbie and just wondered if you had solved the problem yet. I made a laminar flow similar to the one for $15 and have a hollow acrylic rod which I want to try to put in the middle of the straws and below the water opening so the light in the rod will shine through the water. But maybe this is a bit optimistic and I need something a lot more complicated. Anyway how is your project going.